We all hope we’ll never be put in the position of having to save a child’s life, but it could happen. Children test their physical limits and get caught in all kinds of dangerous situations. They choke on food, fall off bikes or play equipment and take risks daily. According to the American Academy of Pediatrics, every five days in America a child dies from choking. Hands-on training that includes use of a CPR manikin, written and hands-on, skill-based instruction, practice and testing can give you the skills you need to save a life. 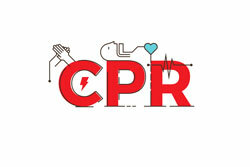 Most CPR/First Aid courses also offer free online refreshers to keep your skills current. The American Academy of Pediatrics says knowledge of pediatric first aid is critically important to the outcome of an emergency situation. Competencies you need include management of a blocked airway, rescue breathing and the confidence to use these skills. A few hours of your time is a worthwhile investment in the future of our students. HCDE’s Center for Afterschool, Summer and Enrichment for Kids, or CASE for Kids, hosts CPR/First Aid training on June 16 from 9 a.m. to noon at 6005 Westview Drive, Houston, Texas, 77055. Cost is $35. Register here. Kathy Evans serves as a manager for the Center for Afterschool, Summer and Enrichment, or CASE for Kids. CASE for Kids provides leadership, training, technical support and grants management to over 70 afterschool programs, serving over 8,000 youth. In her leisure time, Kathy spends time with her hubby and tries to get her three, four-legged sons–Chumley, Bentley and Dudley–to behave. I agree with your post! I am receiving my teaching certificate and felt like I needed to take a first aide class as well. Thank you for sharing your insights!